Siddha Seabrook: Authentic homes for your authentic lifestyle. Possessing a home with luxurious amenities and world-class infrastructure in a metropolitan city like Mumbai is fancied by many. To effectuate those fantasies, the Siddha group has come to the rescue. The Siddha group has successfully entrenched a renowned status in the real estate industry. To continue their legacy, they have come up with an awe-inspiring project, the Siddha Seabrook in Mumbai. 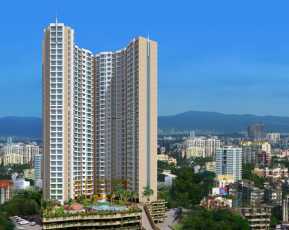 The project is strategically located in Kandivali, Mumbai. Mumbai, the capital of Maharashtra is the most populous city in India with an estimated city proper population of 12.4 million as of 2011. In 2008, Mumbai was named an alpha world city. 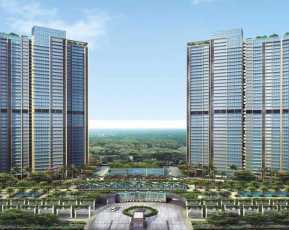 It is also the wealthiest city in India with a number of active businesses including the real estate. Mumbai is the financial, commercial and entertainment capital of India. It is also one of the world's top ten centres of commerce in terms of global financial flow, generating 6.16% of India's GDP and accounting for 25% of industrial output, 70% of maritime trade in India (Mumbai Port Trust and JNPT) and 70% of capital transactions to India's economy. 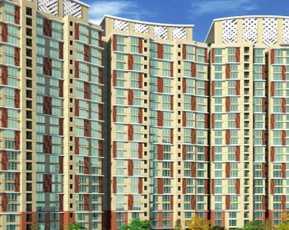 Kandivali is an important residential locale in Mumbai and Residential (1,2, and 3 BHK) Property in Kandivali Mumbai are very much preferred by the common folks in Mumbai. 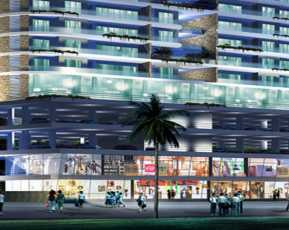 The region of Kandivali is well equipped with civic utilities like schools, hospitals, supermarkets, shopping malls, ATMs and many as such in the very vicinity of this Property in Mumbai. The prominent restaurants and shopping malls popular in Kandivali are Garden Court Restaurant, Uncles Kitchen, Sridevi Veg Restaurant, Sankalp, Sonal Dresses Mumbai, Cotton World, Biba, Cambridge Turning Point and many more. Schools in this region include ITM MBA College, Orchids. The homes are endowed with beautiful furnishing, premium architecture, suave infrastructure, wide balconies and windows for beautiful views, chic fittings, thoroughgoing air ventilation, ample sunlight, lush green landscapes and of course the beauty of Kerala. This project stands tall with the provision of world-class amenities like 24*7 power backup, manned security and water supply, fitness centers and many more. Siddha Seabrook Price range is available on request. The floor plan and site plan is available on request. The apartments cover colossal areas and are very spacious. Details related to coverage area are also available on request. 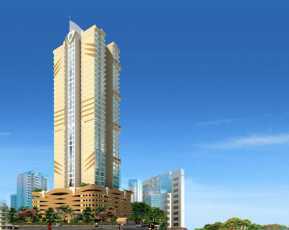 If you are looking forward to buying an apartment in a metropolitan city like Mumbai then this project is worth your investment. So get your horses ready and invest in this awe-striking project.